My clients are 1 for 2 so far...got 1 more show nomination to go. Tina and Amy are killing it tonight. Anyway to get them to host the Oscars this year and bump Seth MacFarlane? I guess the voters really liked it. Was surprised to see it win. Haven't seen it. :thumbup: I should add I also have a major crush on Tina. tommy lee jones....not a will ferrell fan. i gotta see argo damn it. Yeah, had to be. The nominations came out during the season. Also, haven't seen season 2. Also nice to see Will with the mustache for Anchorman 2. My favorite part was when Tina tells Taylor swift to stay away from Michael J fox son. Would have loved to see taylor face. No joke. 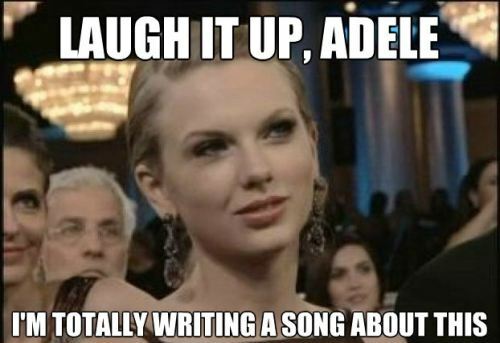 My favorite part of the show was Taylor's snark face at Adele when she won Classic. I remember seeing that and hoping someone else saw it!! Jodie Foster's speech was a bit crazy sounding. 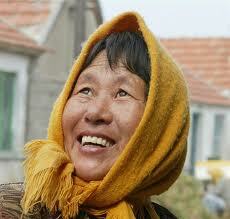 I love Daniel Day Lewis!! Always rely on norm to come prepared for something like this. ...this was the absolute best thing about that show last night. IIIIIIII'M RON BURGUNDY? When I saw the mustache on him, I already knew he was getting it ready for filming. "Damn it! Who put a question mark on the teleprompter??" Her out. She said that her Producer wouldn't like it at all. So maybe that's why they did it.She in so many words said she is retired. I didn't care for the Will Farrell bit. I thought it was too Cheesey for the Event.